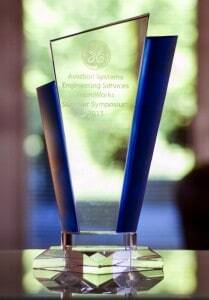 TeamWorks Engineering, a joint venture between DornerWorks and Tandel Systems, was awarded the Engineering Services Excellence Award at the recently completed 2013 GE Aviation Electronics Supplier Symposium. In announcing the award, GE Aviation commended TeamWorks Engineering’s high-quality service, our record of continually working at a partnership level to meet their engineering challenges, our excellent program management, and our repeated attention to meeting our estimated cost of service. “This award is a wonderful surprise and a greatly appreciated honor,” said David Dorner, managing member of TeamWorks Engineering. “An honor like this validates all the hard work we’ve done to earn our position among the larger service providers to GE Aviation.” The Symposium was attended by a select group from among GE Aviation’s 1900 electronics suppliers, and the Engineering Services Excellence Award was the only one presented to an engineering services provider. There were other awards presented to other types of suppliers. TeamWorks Engineering LLC is a systems engineering company providing solutions in the areas of Hardware and Software Development, Program Management and Consulting, Test Systems, Operations, Logistics and Asset Management, FPGA Custom Logic Engineering, Independent Verification and Validation, and Electronic Systems Architecture. For more information about TeamWorks Engineering, LLC visit www.teamworksengineering.com. DornerWorks is a premier electronic and software engineering firm specializing in the design of safety-critical systems for the medical, aerospace, automotive, and industrial markets. 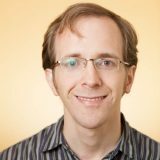 Founded in 2000 by David K. Dorner, DornerWorks has grown into one of the most sought after embedded engineering firms in the country. With an impressive staff of over 80 that includes PhD’s, patent holders, multi-degreed engineers, compliance engineers and a Six Sigma Black Belt, DornerWorks has the talent and experience to tackle the most demanding projects. DornerWorks is an ISO 13485, AS9100 and ISO 9001 certified company. For more information, visit www.dornerworks.com.